Victor Nieto is a cartoonist in Venezuela. His cartoons frequently appear in Aporrea and Rebelión among other sites. Translation by Yoshie Furuhashi (@yoshiefuruhashi | yoshie.furuhashi [at] gmail.com). Cf. Barbara Lewis, “U.N. 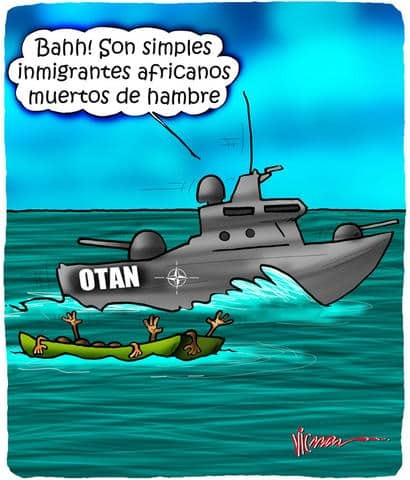 Says 10 Percent Fatality for Libya Sea Migrants” (Reuters, 13 May 2011).